Hi friends! Linsey here today and I'm excited to share a fun and easy project that I hope you'll be inspired by in some way! I really enjoy making 3x3 note cards because they don't require a lot of time, commitment or supplies and they are always a handy way to add a note to a gift without having to make/use an entire card. So today, I've made a super cute set of 3x3 note cards and a functional box to keep them in! 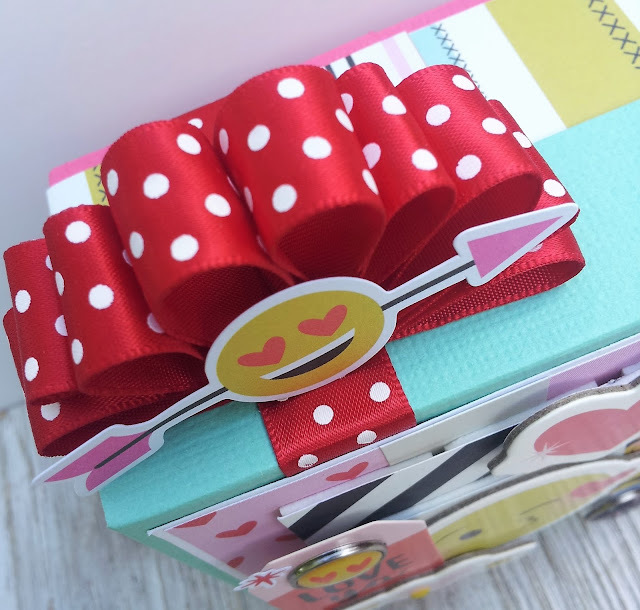 Of course, I had to use some of my favorite ribbons to adorn the box and set of mini cards. On the front, I added a bit of Aqua Diamond Satin Ribbon to the tag, which is layered under several chipboard elements and embellishments. I adhered a strip of Red Satin Swiss Dots Ribbon around the box vertically, then made a big bow on the top that resembles ribbon candy. I love how the beautiful ribbons coordinate so well with this vibrant, youthful design. So much fun! 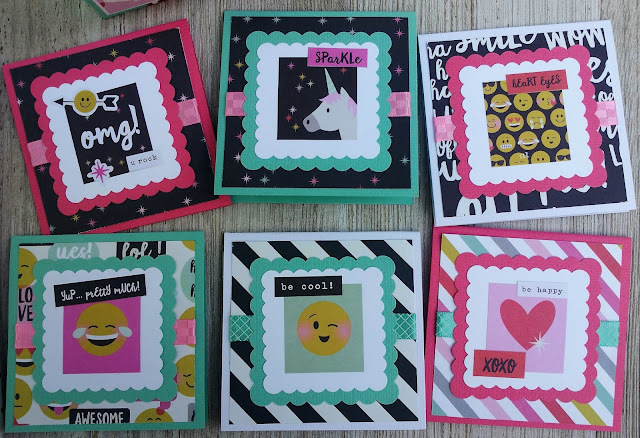 To make 6 note cards that fit perfectly into this box, I used 2 sheets of 8 1/2x11" cardstock, getting 3-3x3 cards out of each sheet (scraps can be used in the decorating of the card fronts/box). Just measure 3x6" 3 times on each sheet, cut, then score each at 3". Decorate as desired. I added a strip of ribbon to each of the mini's. The Geranium Pink 3/8" Checkerboard Satin Ribbon and the Aqua/White Criss Cross 3/8" Satin Ribbon from the April Aqua and Coral Mix Ribbon Club Assortment worked great with my card design. 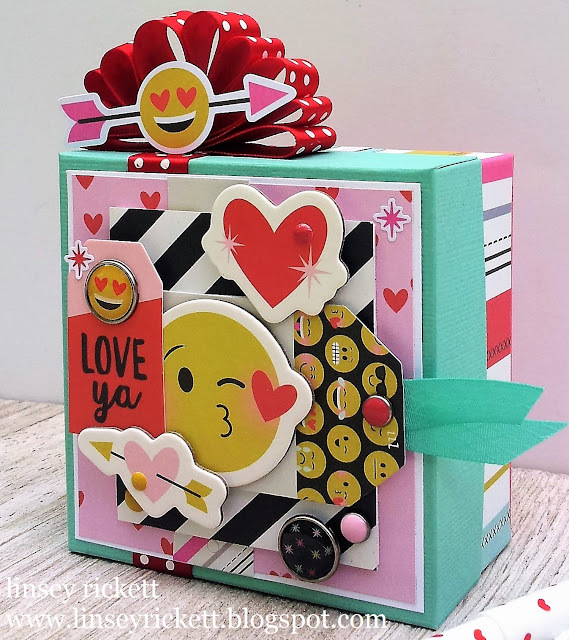 For the box, I followed SCS's simple 3x3 Notecard Box Tutorial. 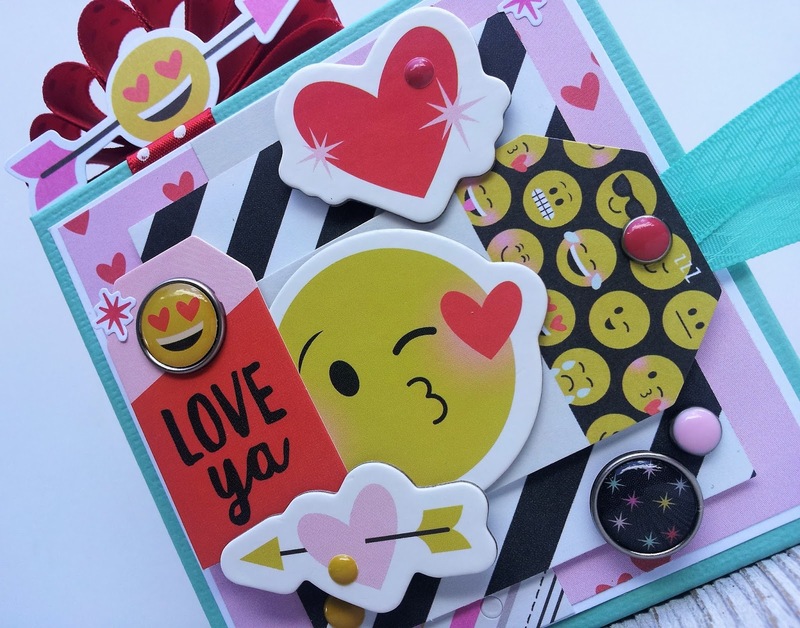 I had a blast with the super fun Emoji Love collection from Simple Stories. 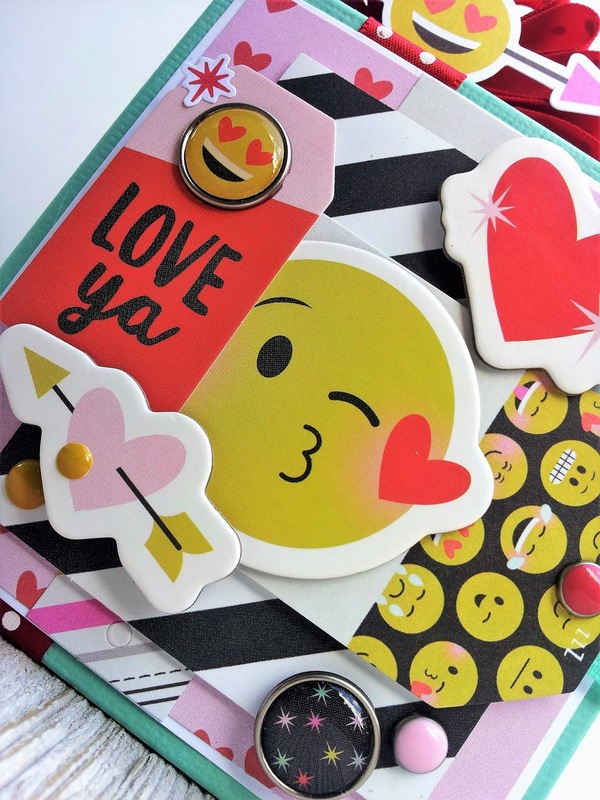 The bright colors and patterns make it so easy to choose any number of embellishments and fabulous ribbons to coordinate with and complete the look. Thanks so much for stopping by today! I hope you enjoyed my project as much as I enjoyed sharing it with you! Happy crafting!